Become an Elite Member Today! Why should you become an Elite Member? You should become an Elite Member because you can’t get skin care services like ours at prices like these anywhere else in Houston! At some point it is hard to ignore the vivid signs of aging you see in the mirror – little wrinkles around your eyes or lips, age spots, maybe some sagging skin – there used to be few options for turning back the clock without going under the knife. But today, you can soften the effects of time on your face with many nonsurgical cosmetic procedures. We have a variety of options to help you recapture that youthful look. But we also know that it can be hard to choose which treatment to begin your plan. NOW, we are excited to offer you an opportunity to take advantage of all of our anti-aging treatments for ONE low monthly price based on one of our 3 Elite Membership Levels! No more saving up and waiting to buy a package. No more choosing just one treatment at a time. 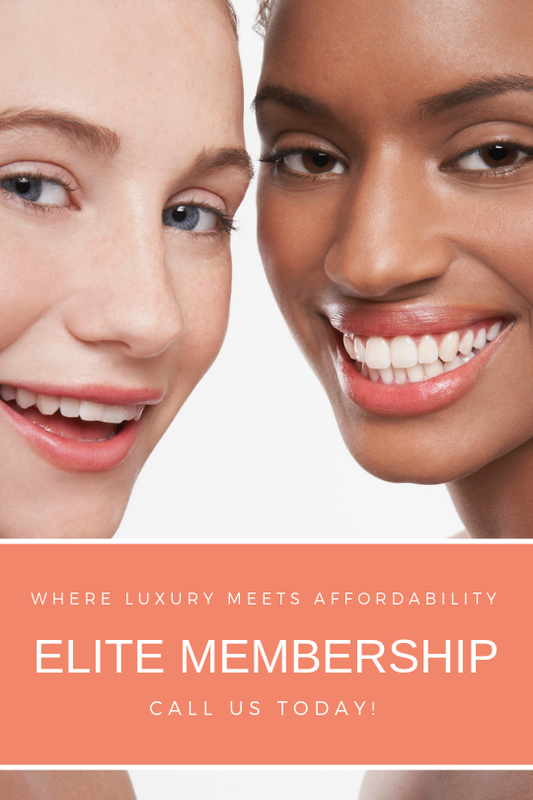 With our Elite Membership program, we have a way for you to have it all, all year long. Call us Today at 281-214-7777 or Fill out the Form Below! The Best of our Best for only for one low monthly price! Take advantage of any service each month based on your membership level. Contact us for details and what is included per level. Sign up today and lock in this Guaranteed Discounted Introductory Price for 1 Full Year! *A one time initiation fee will be charged at sign up. Each monthly service must be used in the current month or it is forfeited. There is no cash back or cash value. No show or late show policies apply. No refunds or credits. Other details and restrictions can be found in the membership contract.